Last year, our Rockin’ With The Reindeer Event was such a success, we had to do it again this year. 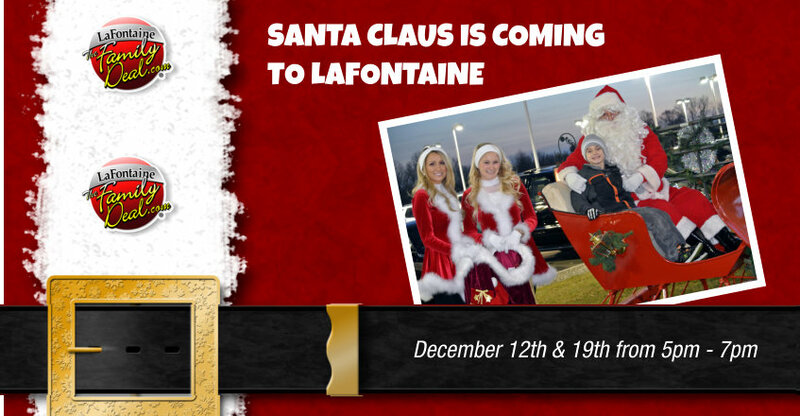 So we’re happy to let you know that Santa Claus is coming back LaFontaine this Holiday Season! Luckily, Santa made time for us in his busy schedule and will be making two special appearances at LaFontaine Buick GMC of Ann Arbor and LaFontaine Cadillac Buick GMC in Highland this December. Come to one, or come to both. Either way you’re sure to have a jolly-good time. Just like last year, you’ll get a digital copy of your picture with Santa to use however you like.